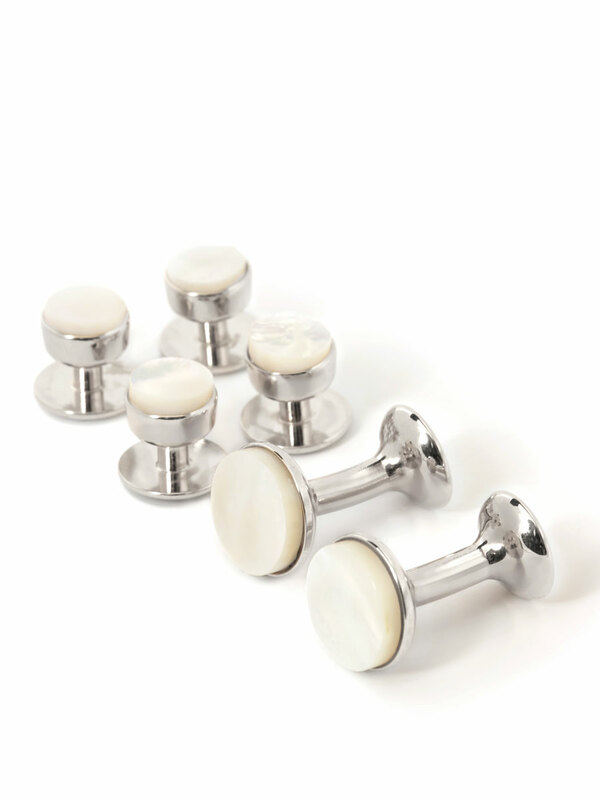 This timeless onyx and sterling silver stud and cufflink set is our most popular formal dress set. The perfect accompaniment to your Michael Andrews tuxedo. Hand crafted in England by Codis Maya.